Again, I did not take this photo - for obvious reasons. 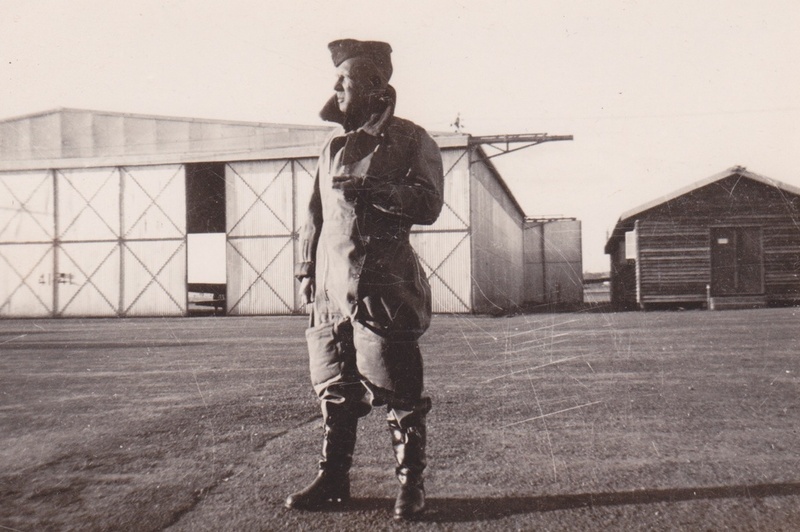 This is my father in 1941 standing on the air-strip at Cootamundra NSW where he did some of his training. He served as a wireless operator in Catalina flying boats and was one of the very few of his squadron cohort to survive the war. What a great photo. Excellent choice for Anzac Day. Wow! The stories your father must have told you. so glad he was one of the few that survived. @wearing0 @777margo @net @onewing @ninaganci Thank you all very much. @onewing @wearing0 He had to keep this photo very quiet during the war for security reasons. Can't really see what the enemy would've learned from that shot.